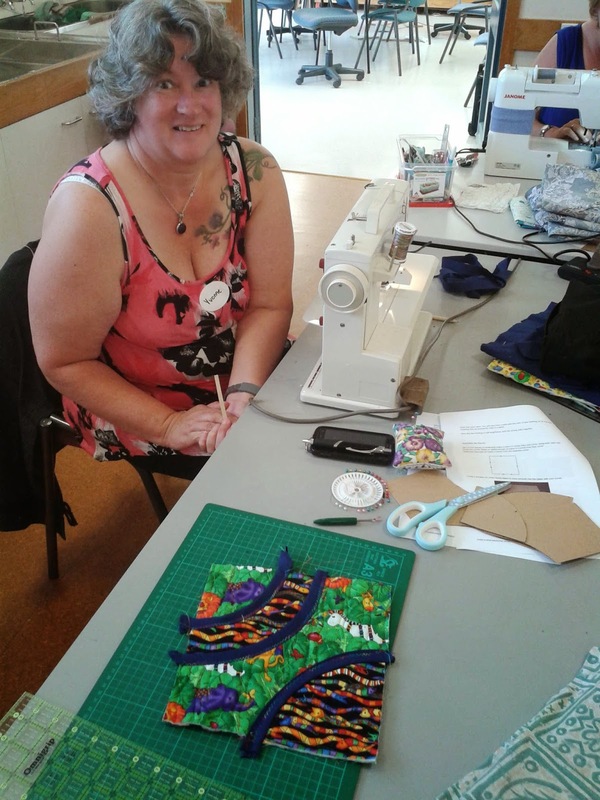 On Sunday I had the privilege of teaching a lovely group of ladies from the Wellington guild "Going Dotty"
I fully admit to being nervous before hand given that the class had 3 times as many as I had taught at one time before. A full 14 enthusiastic ladies plus my wonderful angel-helper FM. As a teacher, seeing the busy hive of activity is an awesome feeling. As is the feeling of amusement when you tell a class exactly how much bias binding they will be using and watching the horror on their faces slowly change as you show them how to make huge screeds of bias with almost no waste in a continuous strip. 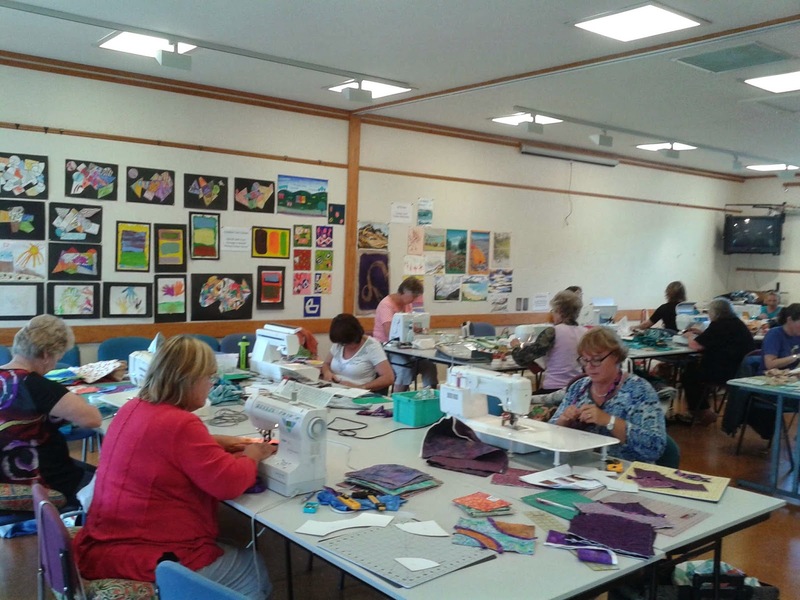 The Karori Arts and Crafts centre is a fabulous space, light and airy, well equipped with plenty of tables. Even with 14 students plus me, we each had a table to ourselves to spread out over. 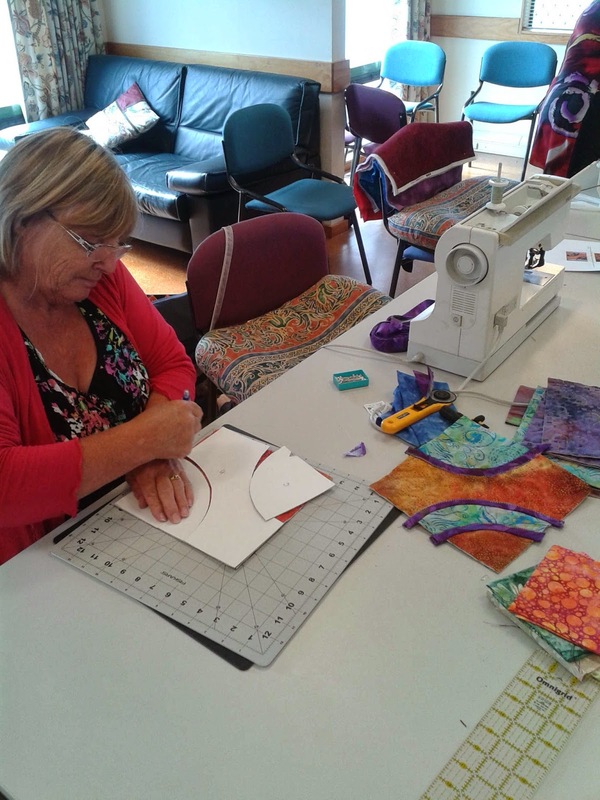 I loved getting to see the different fabrics everyone worked with - you could really see personalities coming through. 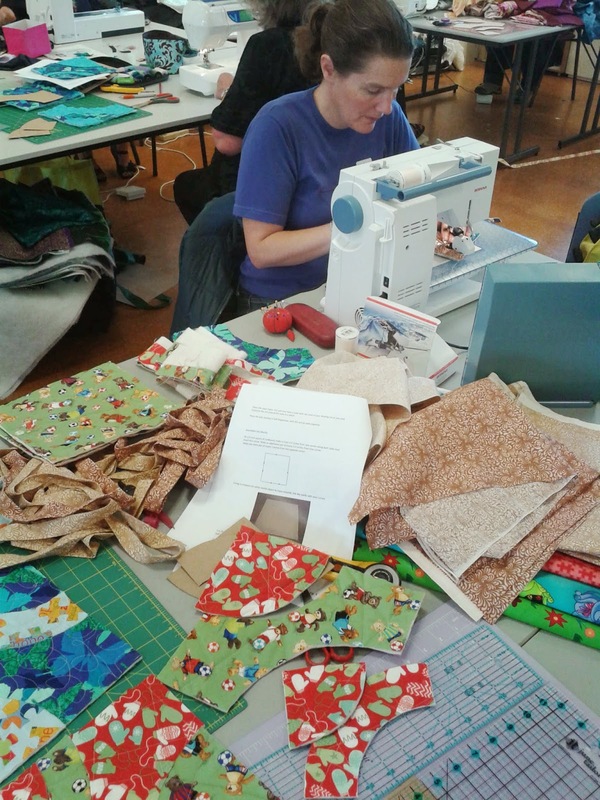 And I can't wait to see finished quilts start to appear at guild meetings over the next few months.